Unpiloted aircraft, known as drones in the arms industry, have become Israel’s weapon of choice in its attacks on Gaza.Since January 2012 drones have killed more people in Gaza than any other aircraft. In 2013 Corporate Watch carried out interviews with several victims of Israeli drone strikes. These interviews are intended to give a voice to the survivors and to be a resource for those campaigning against the companies profiting from the manufacture of equipment used in the Israeli state’s crimes in Gaza. We arranged to meet Basil and Mona Ash Shawa (sometimes spelled Al Shawa) at their apartment in Gaza City in November 2013 to discuss the murder of their only daughter, 18 year old Yosra, in an Israeli drone attack during Operation Pillar of Cloud. During that operation 201 out of the 255 fatalities were killed by drones. We picked up Basil from a vigil being held by the families of the victims of the last two Israeli massacres in Gaza. The families had been on hunger strike for 20 days, and were calling on the Palestinian Authority (PA) to provide them with support after the loss of their loved ones. In the past families of ‘martyrs’ (Palestinians killed by Israel) received financial aid to help the families to support themselves. However, since the 2009 massacre, which killed over 1400 people in just a few weeks, the PA has stopped these payments. The families have little recourse to demand compensation from the Israeli government, which is responsible for the death of their relatives, so the financial burden is demanded from the PA. Basil took us to meet Mona at the family’s new apartment in Gaza City. They had not been there long – their last apartment was damaged in the attack that killed their daughter. Mona and Basil met in Iraq and Yosra was born there. 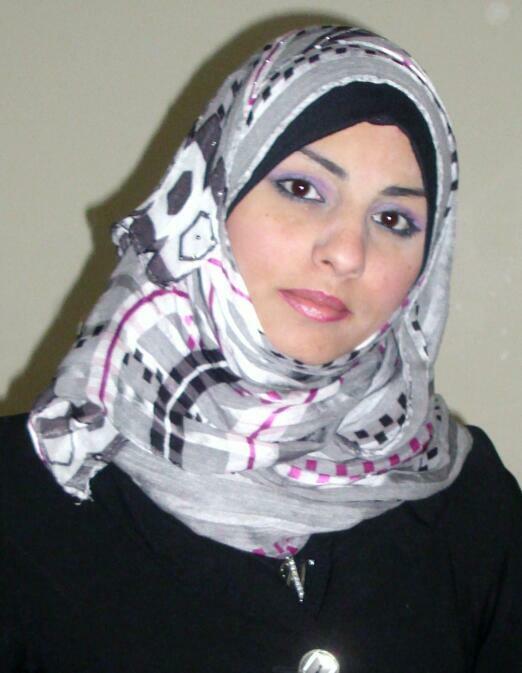 The family moved to Gaza when Yosra was one year old. Basil showed us the mobile phone footage he took when he returned home to find that his home had been targeted. He flicked through the pictures in his phone’s photo album and shows us a picture of the wreckage caused by the rocket from the drone, a clock that stopped at the moment the rockets struck, and his daughter’s blood on the floor. The attack happened at 4.30pm on the November 20 2012 when Yosra and her mother were in the house watching TV in a room on the first floor of the building. According to the Al Mezan Centre for Human Rights, interference with television sets is a telltale sign that drones are nearby. “I was looking out of the window for my sons as I was afraid of the bombing. I wanted to call them. 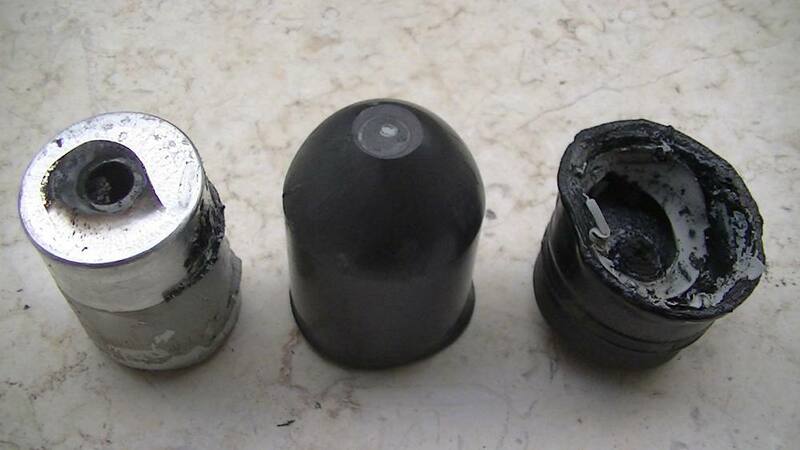 Then two rockets were fired into the room we were in and the room next door. Lots of shrapnel flew into the street outside. 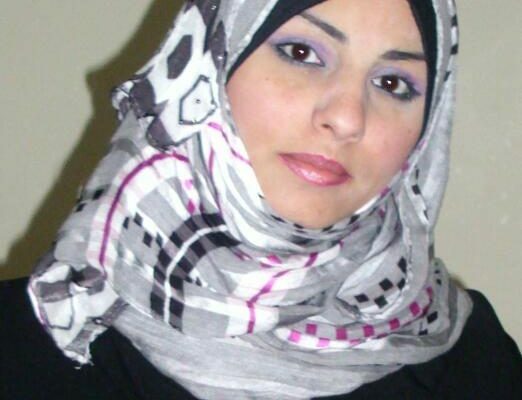 Yosra was taken to Al Shifa hospital but died from her injuries. Mona lost a chunk of her leg and had to go to Turkey for treatment. According to Al Mezan, minutes after the attack on the Shawa family’s home, her neighbours gathered in the street outside. A second attack by an Israeli drone killed three of these people: 56 year old Sakher Bulbul, 40 year old Mustafa Ihjella and 21 year old Mahmoud Al-Zhori; a further four people were injured in the attack. Basil was out at his shop. He heard noises from the direction of his house and then heard over the radio that there had been an attack; he rushed home. He gave us a copy of the video from his mobile phone of the scene on the street as he arrived home – it can be viewed here. Human rights workers came to examine the rocket. 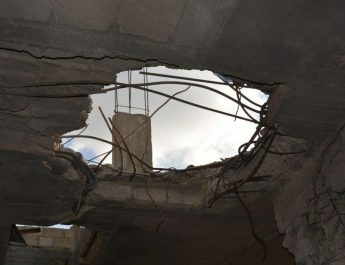 Al Mezan later determined that the rocket must have been fired by an Israeli drone from the accounts of the survivors and because of the amount of damage that it caused, which was far less than would have been caused by an attack by an F16 plane or Apache helicopter. The battlefields of Israel’s militarism and occupation have proved effective testing grounds for new types of weaponry. Israel’s constant state of warfare has ensured a reliable marketplace for Israeli arms manufacturers. According to Drone Wars UK, surveillance drones were first used in Egypt in the lead up to the Yom Kippur War. The first recorded use of an Israeli drone to help piloted warplanes bomb targets (target acquisition) was in 1982 in the run up to the Israeli invasion and occupation of Lebanon. According to Al Mezan, the first recorded use of an armed drone by Israel was in 2004. 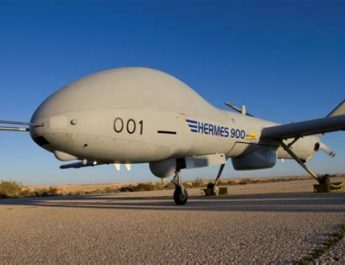 The experience gleaned during years of military repression has made the Israeli arms industry the largest exporter of drone technology in the world. Israeli arms companies have sold drones to at least 49 countries. Elbit’s UK locations can be viewed here. A coalition of protesters have been organising protests outside Elbit’s manufacturing facility in Shenstone, Staffordshire. The Watchkeeper is being tested at Parc Aberporth facility in West Wales. Military testing is being carried out at Boscombe Down in Wiltshire. Campaigners in South Wales have been protesting for years against the flying of drones at Parc Aberporth, but there is a need to build a concerted campaign against the military testing of the Watchkeeper in Wiltshire. The campaign recognises that buying arms from Israeli companies fuels Israeli militarism and strengthens the occupation and siege. In the UK there is a call for campaigners to pressure their representatives to support a two-way embargo: end all contracts with Elbit Systems and Elbit subsidiaries; end all arms trade with Israel; and suspend the EU-Israel Association Agreement and all EU research funding for Israel’s arms companies. The Palestinian civil society call for Boycott, Divestment and Sanctions demands action to persuade the investors in companies complicit in Israeli militarism to divest their shares. Barclays PLC is named as the owner of over 50,000 shares in Elbit Systems. 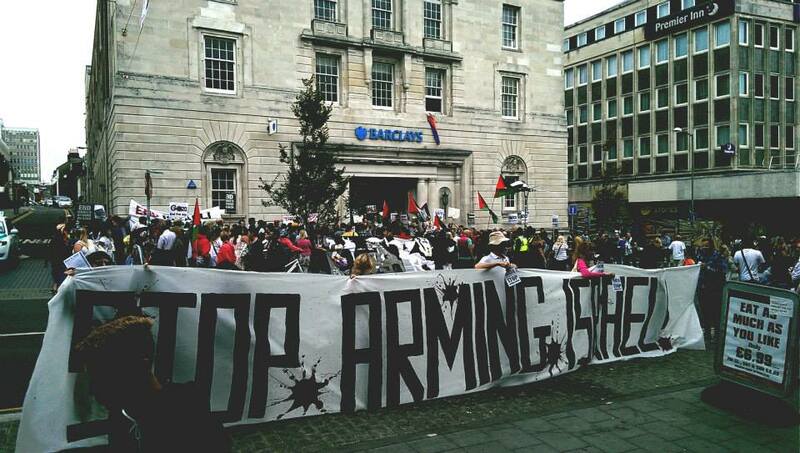 Campaigners have been calling for Barclays to drop their shares in the arms trade for years. On May 4th 2014 anarchists in Cardiff held a picket of a Barclays branch that caused the bank to lose a day’s trading. There is a need for concerted action to persuade Barclays to have nothing to do with shares in Elbit. Mona told us: “We always dream about Yosra. We cannot forget her”. if you want to denounce Jews, say what you mean. Nowadays its not politically correct to hate Jews, hence”anti-Israel” syndrome took its place! Yes, it is a syndrome that you suffer from, not that much better than down syndrome! Both (you and those with the illness have extremely limited mental capabilities) just be honest and admit that you cant stand Jews and you wish they didn’t exist. But let me tell you you would have a hard time without them. A Jew invented the car (hitler gave an order that it should be credited to Karl Benz), paracetamol, traffic lights (you would probably be dead without them), the mobile phone, the microphone, polio vaccine among many others, so either boycott Jews and die, or just live and learn to appreciate Jews a bit!!!!!!!!!!!!!!! Our motivation for writing this post was to give voice to the survivors of Israeli drone attacks. I find it strange that you are implying that this makes us racists.